Esther Larsen is a top risk analyst, and math prodigy, who notices alarming trends that will have devastating effects on the global economy if not stopped. In a parallel to the biblical heroine, she steps out to share her voice with the world, and prevent disaster–putting herself and those she loves at risk. Esther is a very likable character, and immediately drew me into her story. She is strong, independent, refined, and logical, yet has the relatable introvertive challenges in processing her emotions, trusting a community of friends, and letting go of the past. There were several moments in Esther’s personal and professional life where I identified, connected with, and celebrated her achievements and character growth. The global economic crisis was also set up to be suspenseful–initially. 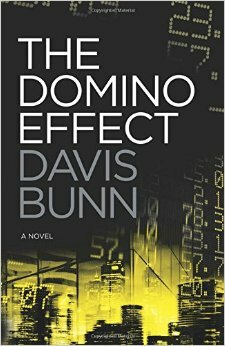 But the pace became much too slow about a third of the way into the novel, and it killed the suspense for me. The bad guys were not believable, or nearly wicked enough to create the needed tension and apprehension. And, while the details of the economic threat were interesting to me, the tone did not feel imminent. I also found the end to be completely unmemorable–everything was too easily worked out; and I did not understand the point of a couple of the side stories, which did not tie together well for me. I needed more suspense, higher stakes, and more connections within the themes of the larger picture.